Often people focus on the reception details, but the ceremony is the whole point of the wedding. Make it beautiful and memorable by decorating the aisle you will use to enter as a bride-to-be and leave as newlywed couple. Here are five ways to decorate your aisle. Real or silk flower petals are a traditional and gorgeous way to decorate your aisle. Roses are the most commonly used petals, and they come in a variety of colors to match your scheme. You could also get creative and use whole flowers instead of petals or choose a flower other than a rose. Sprinkle the petals down the aisle, create a design with the flowers, or line the sides of the aisle. These are ideal for an outdoor or beach wedding that takes place in the early evening. After the ceremony, you can use the torches to decorate an outdoor reception. Another idea for a beach wedding is colored sand. Pick a shade that matches your color scheme, and use the sand to create a pattern down the aisle. 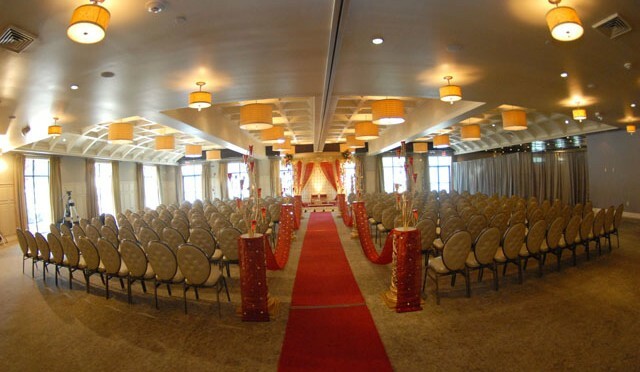 For instance, you can do swirls down the entire aisle or hearts where you’ll say your vows. The candle possibilities are endless. You can use pillar candles, votive candles, or floating candles. You can place them in romantic lanterns and hang them on shepherds’ hooks, or you can fill mason jars with floating candles and petals. Candles and holders come in all colors and styles to match your theme. Aisle runners are classic ceremony décor. Sometimes the church or venue has a runner you can use, or you can easily purchase or rent an aisle runner. There are many styles to choose from, so feel free to get creative or stay traditional.